We are thrilled to report that the Vice President of Bundestag (Lower House of German Parliament), Claudia Roth, visited one of the partner organizations of Free Volunteering Nepal, our EPSA project. 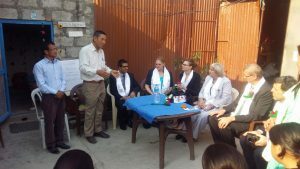 EPSA supports and assists disabled women in Nepal. 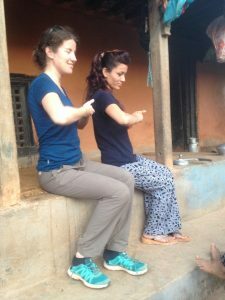 During her visit, Mrs. Roth and her entourage could take a deep look into the good work that is done in the EPSA home for disabled women near Kathmandu. EPSA is built on the vision to educate and train physically disabled women in crafting skills that will facilitate their independence from continuous financial support and allow them to live a self-determined life – sadly still out of reach for most women born with disabilities in Nepal today. During an official journey to Nepal and Bhutan, Claudia Roth visited Kathmandu in her function as Vice President of the German Bundestag. The intention behind this visit was to strengthen the bilateral friendship between the Governments of Nepal, Bhutan and Germany. Furthermore, Mrs. Roth specifically emphasized the importance of supporting the human rights community and civil society in Nepal, as well as their important roles in realizing central goals of humanity, such as peace and justice. The Vice president suggested Nepal should improve the support for disabled women in their efforts to live an independent life. Her visit and initiation of a project led by the German embassy in Kathmandu served as proof for the readiness of Germany to support the endeavor of EPSA to empower disabled women. During her three day visit to Nepal, Mrs. Roth met the President of Nepal, Bidya Devi Bhandari, as well as representatives of the Dalai Lama. We are very proud that the name of Sangita Pant, the President of EPSA in Nepal, was added to this list of personalities. The Team of Free Volunteering Nepal was impressed by a very sensitive statement by Claudia Roth, that the women in the EPSA home are not disabled, but a society, which treats them disrespectfully, is. Sangita Pant, Ganesh Magar and Doriji Tsering Sherpa thanked the people and government of Germany for their continuous support to Nepal’s development, on a large scale after the 2015 earthquake, but also by such specific actions aiming at improvements in the individual life of Nepali people in need. 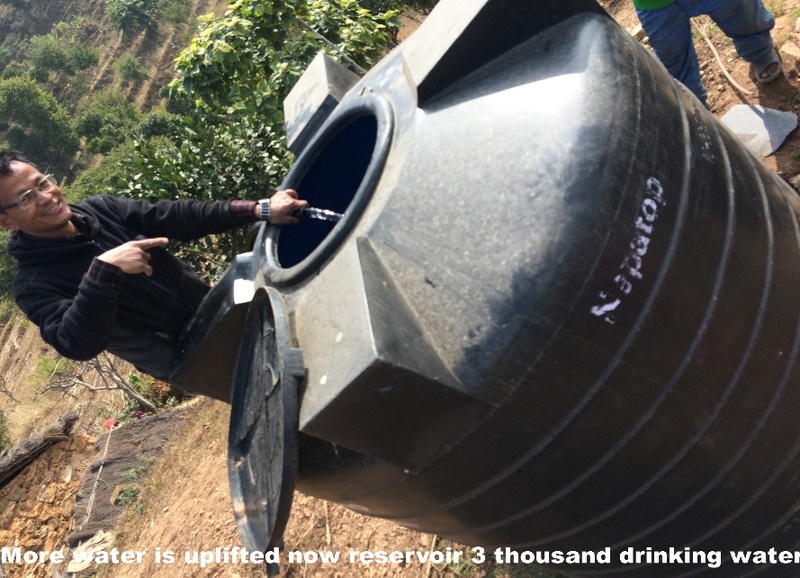 We helped in many ways to improve the water supplies in Nepal. 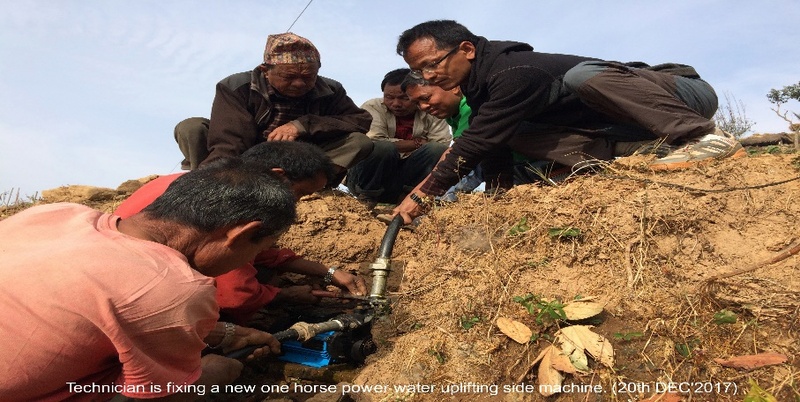 For building infrastructure, helping to ensure the supply of fresh water and make the hard life in the rural region of Nepal a little bit easier we need your help! 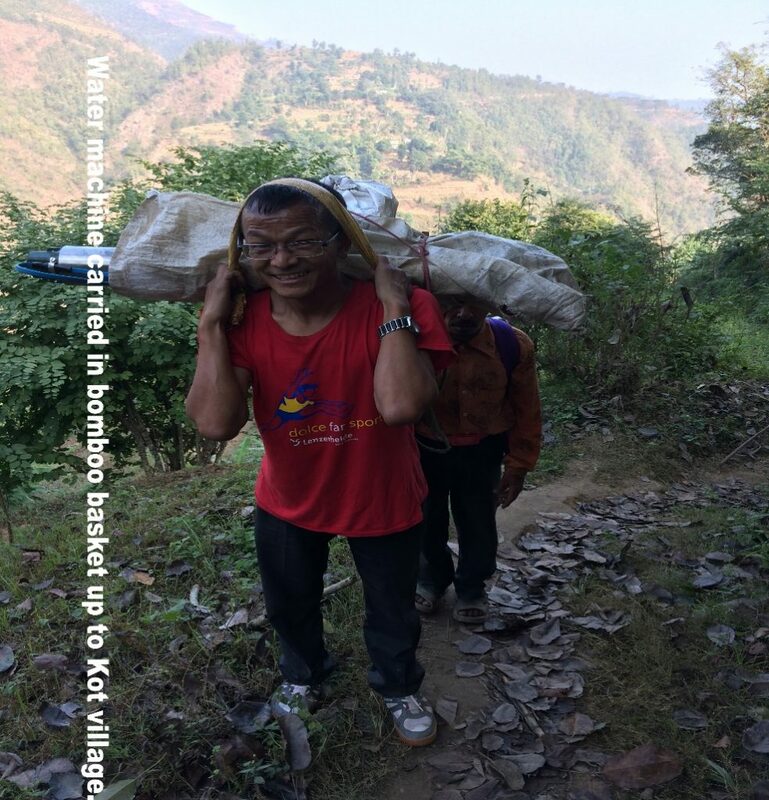 Ganesh – clearly the hardest working member of Free Volunteering Nepal! In the mountain regions of Nepal water is very important. Instead of carrying water bucket by bucket we try to bring wells and pipes to this regions of Nepal. Step by step the life improves, crops can be irrigated, and people have a better living. The infrastructure provide the help the people of Nepal are needing. We are working together and with the people of the region. Instead of thinking about how we would solve problems we ask them what is a problem and how we can be supportive and getting things they really mater to be done. A very special Thanks to Ganesh who helped, took care and managed in an incredible amount of work to improve the life of so many people in Nepal! Two volunteers from Austria, Anthea and Lucy, visited the Akaladevi Secondary School in Salang. After evaluating the level of each students they started to teach everybody according to their own skill level. The students were very excited about the computer lessons, i.e. getting basic knowledge about computers and how to use them. While teaching computer skills, the volunteers encouraged the students to make conversation in English. Thereby, the students were motivated to overcome their shyness, ask and answer questions naturally, and improve their English conversation skills. 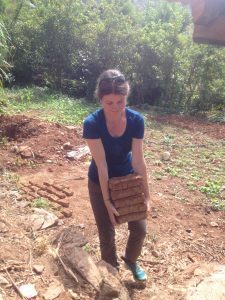 Anthea and Lucy furthermore volunteered at the Shree Shradha Women School. They worked with the students on English pronunciation, grammar, free-handwriting and they helped the local teachers to improve their English skills. The students of this Women school are underprivileged and it is outstandingly beautiful to teach them with the assistance of foreign volunteers. The feeling that overseas volunteers are coming from a far distance to teach them is always extremely encouraging for the female students and inspires them to go ahead and learn and fight for a better life. The students here need to learn simple conversation and basic grammar to gain confidence to speak English. From their first till the final day, we hope that both volunteers understood how highly cherished their contribution was. They clearly did their best to help these innocent women, who have the hope of learning despite all kind of hindrances they encounter in both their families and societies. Thank you so much for your efforts, Lucy and Anthea! New Laptops for the school of Mulpani make modern education possible. Thanks to the help of Barbara and Martin who stayed in the village of Mulpani to teach English, a new computer lab built and now makes computer science lessons possible again, after the old building and all equipment was destroyed during the earthquake. 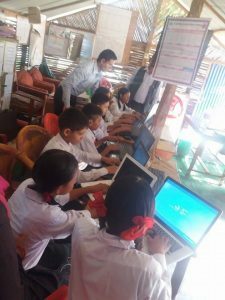 The team of Free Volunteering Nepal would also like to cordially thank the many people from Germany who collected and sent laptops as a donation for the school to Kathmandu! Special thanks go to Chin of Pristine Nepal Trekking & Expeditions, a former student of the school, who supported this project with great efforts to make this vision became true. Pristine Nepal furthermore supports Free Volunteering Nepal by donating 51% of special Nepal trekking tours to education projects. On the 3th November, a new Health Care Center was opened in Gorka. The help of many people made this success only possible! Local people and volunteers worked together amazingly to improve health care in this remote rural area. Many thanks to everyone who made this success possible. If you like to be part of a project like this as an volunteer in Nepal – write us! 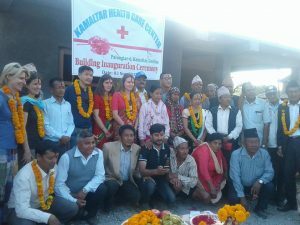 Opening of a healthcare center in Gorkha. Swiss Volunteer makes a difference! 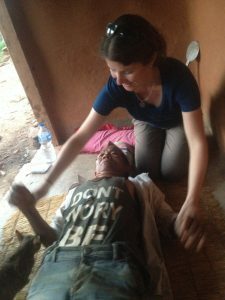 During October, Katharina and Annelies from Switzerland volunteered in the rural village Salang. 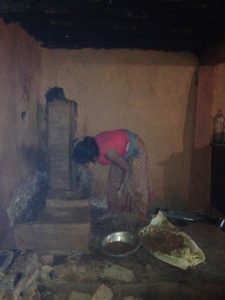 They helped building a new type of oven that blow less soot into the kitchen, the central room of the family life. This project will help improve the quality of life of many families in the rural village. In addition, they used their special skills to show the people of the village how physiotherapy can help in various life circumstances. To make a long lasting impact they even trained the local people in basic effective physiotherapy techniques. The team of Free Volunteering Nepal is very grateful to Annelies and Katharina for their efforts! This summer Muat, a student of Qassin University, visited the children’s home in Kathmandu,Nepal.  Muat taught the kids how to make slide shows, create pdf-files and work with videos. It was a great fun for all and a very nice experience! The Free Volunteering Nepal team is proud of him and his contribution to a better future for the children. We cordially thank Muat for volunteering in Nepal.